This story was updated Oct. 31 to include details about the district's revised 2018-19 budget. The board, which has been criticized by the Fiscal Crisis and Management Assistance Team, or FCMAT, and the Alameda County Civil Grand Jury for not having the political will to make difficult decisions, recently got a dose of tough talk about the path it has to follow if it wants to get the money. “If you choose not to make a decision, a decision will be made for you,” said Michael Fine, CEO of FCMAT. If the district is successful in finalizing and implementing its plans, the state will give the district money to offset a portion of its deficit from 2019-20 through 2021-22, he said. 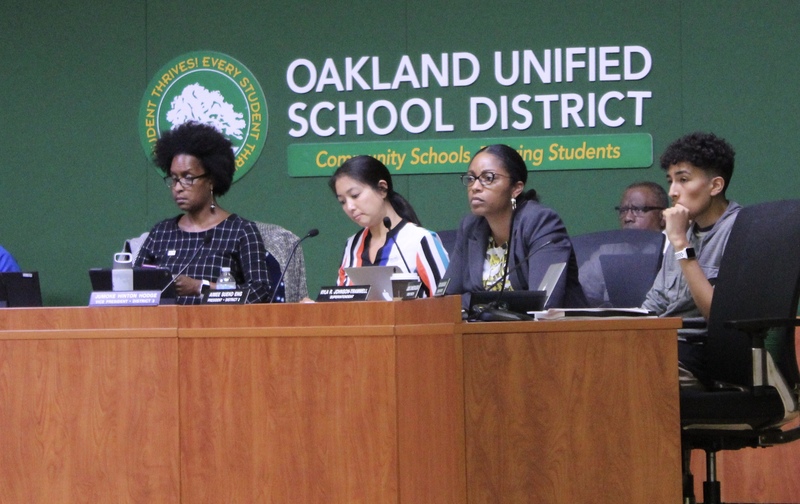 As the head of a nonprofit fiscal oversight agency established by the state that is monitoring Oakland Unified’s finances, Fine didn’t mince words during a meeting last week with the district’s leadership. He and Alameda County Superintendent of Schools Karen Monroe reminded the board that if the district fails to balance its budget, it could need another state loan or the county and state could impose cuts, which would put the district back under state control. $3 million in cuts at schools that could include staff. $7 million in staff cuts to central services. $6.5 million in other spending cuts or cost-savings such as reducing energy costs. The district is also hoping to generate about $2 million next year through facilities rentals to the public and is starting up a Saturday school for students who miss class during the week. The new weekend classes are expected to generate about $1 million next year, increasing by $500,000 each year. That would generate state funds based on the average daily attendance of students. 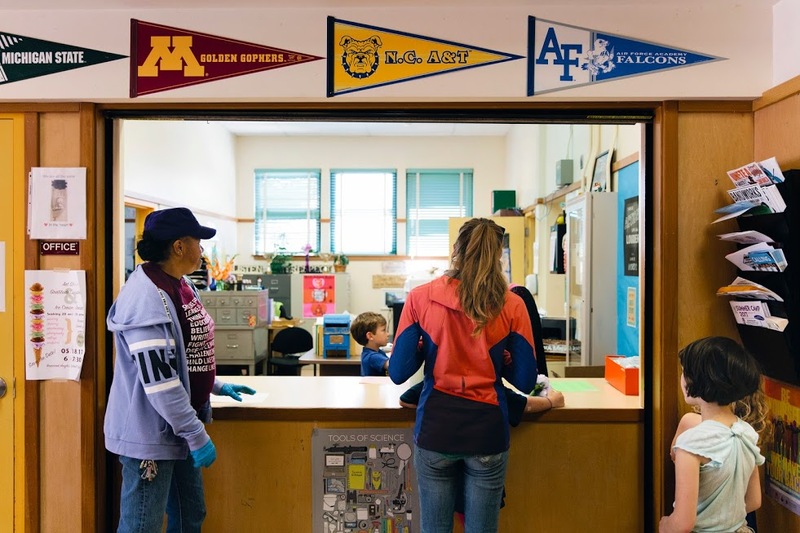 By the end of 2021-22, the district expects to save $56.8 million including $1.3 million through closing or consolidating schools, while generating about $8.6 million through facility rentals and Saturday school classes to help close its ongoing deficit. These ideas will go before the public on Nov. 28, when the board plans to hold a community engagement meeting to discuss them. Parents, staff and other community members are being asked to complete a survey on budget priorities. Kyla Johnson-Trammell, superintendent of Oakland Unified issued a message to the community signaling that the district must change. “We cannot tinker around the edges and expect something great,” she said. “I want us all to lean in to this tough situation in order to build a better, bolder OUSD that serves all students.” She reminded the community that the district has already developed a Fiscal Vitality Plan to improve its budgeting process and is working to reduce the number of schools in the district, due to long-term declining enrollment, through its “Community of Schools” policy. She described the district’s three main goals: to balance its budget by making cuts, give teachers a raise, and improve the quality of district schools. 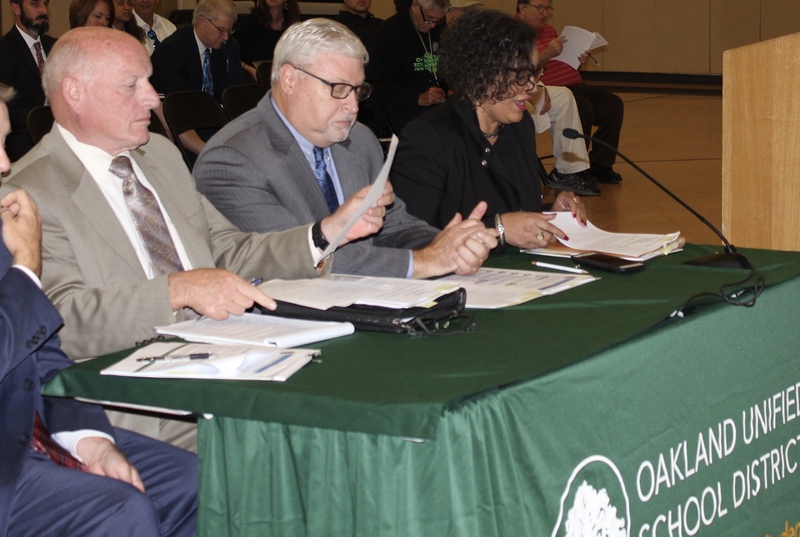 Oakland school board members listen to a public speaker on Oct. 24, 2018. The board has already decided to consolidate Alliance Academy and Elmhurst Community Prep into one school and to consolidate Futures and Community United Elementary Schools into one school next year, while expanding MetWest High. District staff is currently considering additional schools to close or consolidate in the future and expects to update the board on potential sites Nov. 14, according to the superintendent’s Oct. 24 board report. Oakland Unified is one of four California school districts that is still paying back a state loan based on past fiscal distress. Oakland Unified is paying back a $100 million loan it received when it faced massive deficits in 2003. The state Legislature agreed to provide bailout funding to Oakland and Inglewood, which is still under state receivership, to help both districts make “thoughtful decisions” instead of “knee jerk decisions,” Fine said. The state expects both districts to finalize and implement budget-cutting plans already underway to achieve long-term financial stability, he added. 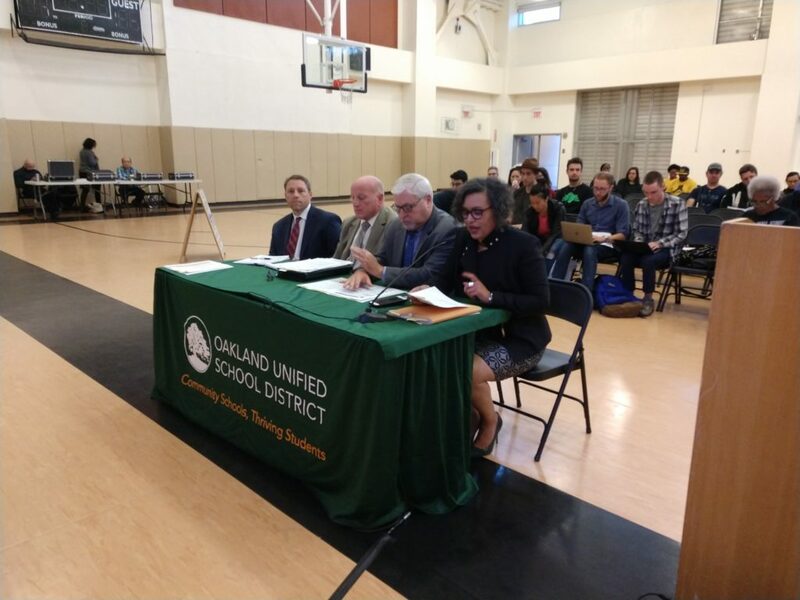 Oakland Unified oversight trustee Chris Learned (l-r), FCMAT CEO Michael Fine and Alameda County Superintendent of Schools Karen Monroe speak to the Oakland Unified school board on Oct. 24, 2018 about the requirements of AB1840. Although the board in August agreed to make $30 million in cuts next year to balance its budget, it is unclear now whether the district will be required to cut that deeply to balance next year’s budget since its ending balance in June was nearly $12.4 million higher than anticipated and the bailout will cover up to 75 percent of the district’s deficit in 2019-20. However, Fine said the district may need to make deeper cuts than the $16.5 million currently proposed next year to stay on track toward meeting its original goal of slashing costs by $30 million next year and reaching a total of $60 million in cuts by 2020-21. However, he said the numbers could change based on budget revisions that reflect actual revenues and expenditures. A 2018-19 budget revision presented later in the meeting increased district revenues by nearly $15.8 million to $582.3 million, but also showed $60.9 million in new expenditures that were not fully explained. Johnson-Trammell said she would bring final recommendations for budget cuts to the board by February. If the board decides not to accept the strings attached to the state bailout, it would be forced to make up to $30 million in cuts next year, Fine said. While stressing that the state and county want to help Oakland achieve its goals, Monroe said it is “critically important” that the board follow through with its budget-cutting plans. 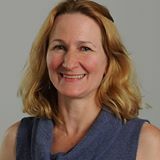 “If we see that those budget balancing strategies are not being implemented,” she said, “we will have to impose strategies.” The strategies imposed would likely follow the plans outlined by the board, but the county would ensure that they are “acted upon,” she said. Board member Roseann Torres said she has heard that some districts throughout the state that are facing their own fiscal challenges due to declining enrollment and the proliferation of charter schools “are frustrated and upset” that Oakland is getting this special bailout. Monroe and Fine said they’ve heard the same thing. Even if the district doesn’t take the bailout money, the county superintendent could “impose a functioning budget on you,” Fine told the board, reminding them that the county still has not given its final approval for the district’s 2018-19 budget. If it ends up needing a loan because it hasn’t made the cuts necessary to balance its budget in the next few years, it could be taken over by the state again, officials said. That would mean the school board could lose its powers and become advisory only and a district oversight administrator would assume the powers of the board and superintendent. But board member James Harris said the district could achieve its goals without taking the money by making the cuts necessary to balance its budget. Torres said the district needs a state moratorium on charter schools to be able to plan effectively. The board will hold a retreat Nov. 26 to meet with a legislative adviser from School Services of California, an educational consulting company that advises districts on budget issues, to develop a legislative platform, board member Jody London said. So the board is once again hiring consultants, what a surprise! They can’t compare to other districts and realize the high use of central admin and consultants might be a large part of the problem. FCMAT representative Fine stated: “Even if the district doesn’t take the bailout money, the county superintendent could “impose a functioning budget on you,” Fine told the board, reminding them that the county still has not given its final approval for the district’s 2018-19 budget. I believe Alameda County Superintendent Monroe has until November 3 to approve or reject the OUSD budget for the current year. I assume the budget Superintendent Monroe will rule on is the revised budget. And, since FCMAT’s Mr. Fine isn’t Alameda County Superintendent (lucky Alameda County) I don’t anticipate that OUSD budget will be rejected because the submitted revised budget includes a reserve, though lower than the first submitted budget, has above the state’s required 2% required reserve. FMAT CEO Fine made clear he thought the state made a mistake in setting the Reserve for the General Fund must have a floor of 3% not 2% and promised to research that mistake. My understanding is that the District will have until March 1 to submit a two-year budget that satisfies County, FCMAT and State Finance Department. These folks collectively are the keepers of AB 1840 financing. 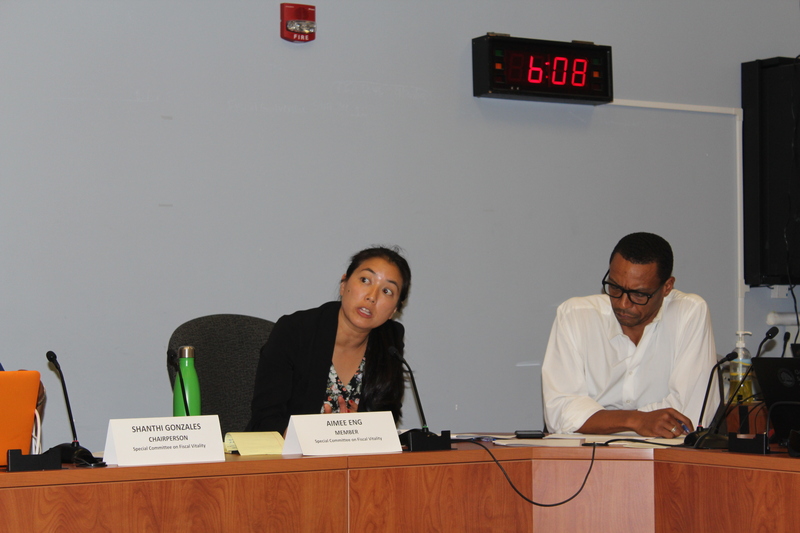 The OUSD administration has explained some of the increased liabilities between the original budget for this year and the revised budget as well as some of the increased funding but the explanation has not been complete and millions go without having been explained. This is a very accurate article about what the school board, superintendent, county, state, and FCMAT are saying about our school district’s finances, the problem is either they don’t understand the numbers or they are lying to us. One of the main facts that this article misses is that in four months expenditures for this school year has shot up by $60.9 million with no vote or explanation. When we questioned county superintendent Karen Monroe directly about the rise in expenditures the day after she testified at our school board meeting she responded, “I saw that it(the 1st budget revision) was sent to me I haven’t looked at it yet.” How is she providing oversight and guidance if she hasn’t even looked at the updated numbers? This engineered budget crisis is all a part of the effort to close our public schools. This “crisis” is also being used to deny our teachers a raise in a new contract and could very possibly lead to a teacher’s strike in the spring. After next week’s election we need everyone to join us in our fight to save our public schools and keep local control of our school district. OUSD has money, we receive $120 million more a year than we did four years ago. We ended last year with a large surplus and we were projected for another large surplus this year. What has caused the budget to fall apart over the last 3 years? Mike, I have added information about the budget revision to the story, including the $60.9 million in new expenditures.